A defining moment in Canadian military history. A much-needed Allied victory. A show of valour and heroism. The battle of Vimy Ridge in April 1917 saw Canadian troops storm a strategic 14-kilometre long escarpment that was believed to be impregnable. This was the first time in the nation’s history that a corps-sized formation fought together as a unit under its own meticulous planning. Canadian troops persevered under heavy fire to take the ridge, demonstrating incredible discipline and bravery. The battle became a symbol of sacrifice for the young nation and a turning point in its role in the global theatre of war. Tom Douglas, an award-winning journalist and author, lives in Oakville, Ontario with his wife Gail, also an author in the Amazing Stories series. Tom’s father, Sgt. H.M. (Mel) Douglas, was part of the Invasion Force that stormed the beaches of Normandy on D-Day, June 6, 1944. Tom is a member of the Royal Canadian Legion, worked as a Communications Advisor for Veterans Affairs Canada, and has written speeches for the Minister of National Defence. Recently, he self-published a book, Some Sunny Day about his family’s experiences in Northern Ontario following his father’s return from World War II. They said it couldn’t be done, and thousands of French and English had tried it, but four battalions of Canadians succeeded; not without 10,602 Canadian casualties, including 3,598 fatalities, however. It was known as the “Great War,” and “The war to end all wars,” but history has proven that World War I was not the war that ended all wars. What it was, was a bitter, bloody conflict with over 15 million (combatants and civilians) killed, and 22 million wounded between July 28, 1914 and November 11, 1918. This conflagration started with the assassination of an obscure prince, heir to the Austro-Hungarian throne, which led to posturing between two, now forgotten states—Austro-Hungary and Serbia. Serbia’s ally, Russia, then began to assemble troops, which brought in Germany as ally to Austro-Hungary. England and France then came to the aid of Russia, and this automatically brought Canada—as a dominion of England—into the fray. Nevertheless, a nationalist fervour gripped Canada to aid the “Mother Land,” even though the militia numbered just over 3,000—and volunteers poured into recruiting stations so that by September of 1914, more than 30,000 set sail for England; making it the largest convoy to cross the Atlantic. However, these patriotic young men who had dreamed of glory in a far off land soon learned that they had been sold a bill of goods, and that there was nothing glorious about existing like an animal in filthy, disease-ridden trenches that scarred the landscape, or seeing your friend—or lover—blown to bits by an enemy mortar shell. Vimy Ridge was a promontory near the River Aisne where, after a failed attempt to take Paris, the Germans were ordered to dig in to protect themselves. When the allies realized that the German trenches were a formidable obstacle, they dug in as well. 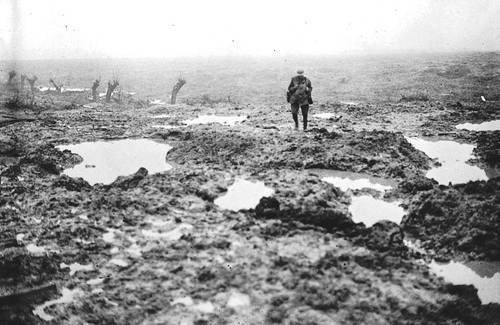 “[N]o story about World War I—and in particular the magnificent achievement of the Canadians at Vimy Ridge—would be complete without a basic understanding of these inhuman and seemingly insurmountable obstacles that had to be overcome on the road to victory. To make matters more difficult the Germans occupied the high ground, forcing the attacking allies to charge uphill while loaded down with weapons and equipment. 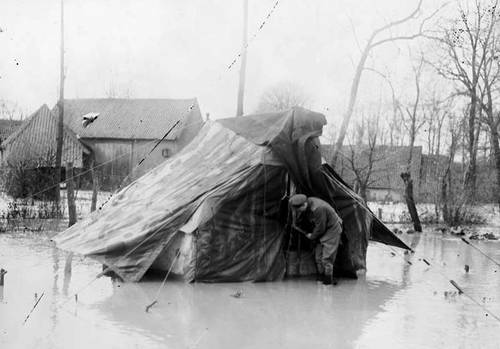 Moreover, the allies—French, British and Canadians—were only a few feet above sea level, and would frequently find themselves standing ankle deep in water. As the author points out, a great number of soldiers suffered from mental illness after weeks and months of living under such conditions. The term “shell shock” was coined to describe this condition, but many officers and even doctors refused this as a reason to remove the victims from the battle front. 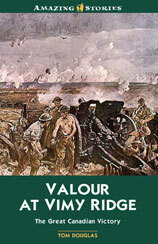 The Author then goes on to document the charge up Vimy Ridge from the personal perspective of the soldiers and officers who took part; many of them being awarded the Victoria Cross for bravery—some posthumously. At this time of remembrance, this is Canadian history that should not—cannot be forgotten. If a country’s history forms its heritage, then this is what we are all about. This is my Remembrance Day tribute. A new memorywill be added every day until November 11th. Lest we forget!